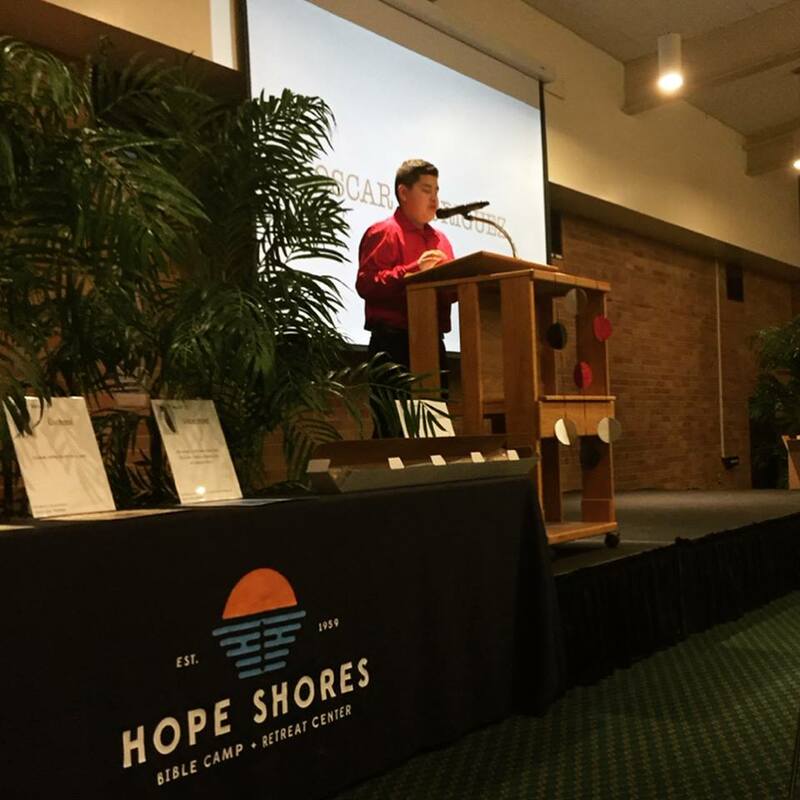 The testimony below was shared by Oscar Rodriguez the night of the Hope Shores Penguin Gala. With his permission, we’d like to share it with others. So, hey guys! My name is Oscar Rodriguez. I’m in 8th grade at Richfield Dual Language School. For the last six years, my brothers and sister and I have been coming to KWAM. We go to Young Life and help with VBX, too. I’ve been going to camp since 5th grade. I got to PLAY: Gaga ball, Kickball, Hide and Seek, and Capture the Flag. I got CANTEEN every day: Most people get frozen Swedish fish, but I get frozen Snickers or Resse’s. I got to have REST TIME in the cabin: That’s when you can really make new friends! I got to have QUIET TIME: They gave us journals to write what we’re thinking about. That was new to me, too. The leaders take each camper on a ONE ON ONE: They get to know us, and hear if we have problems. We got to have a BONFIRE where we talk as a cabin and hear cool stories from our counselors and CITs. And the food at camp is AMAZING: Especially the popcorn chicken! I’ve never had popcorn chicken that good before… only at Hope Shores. The only bad part about camp is the BUGS. Like the mosquitos. But don’t worry, don’t worry, they have spray for that. There was so many fun, new things at camp, but what I really got from camp is more time with God and Jesus. So before camp, I honestly never paid attention to God and what he was trying to tell me, but at camp, I felt like I got to know God in person! And that made me feel really special inside. So now I go to camp every year and someday I might be a counselor at camp. And guess what? This year, one of my favorite people (Yon) is the new guy running camp – so I can’t wait for that new thing this year, too!